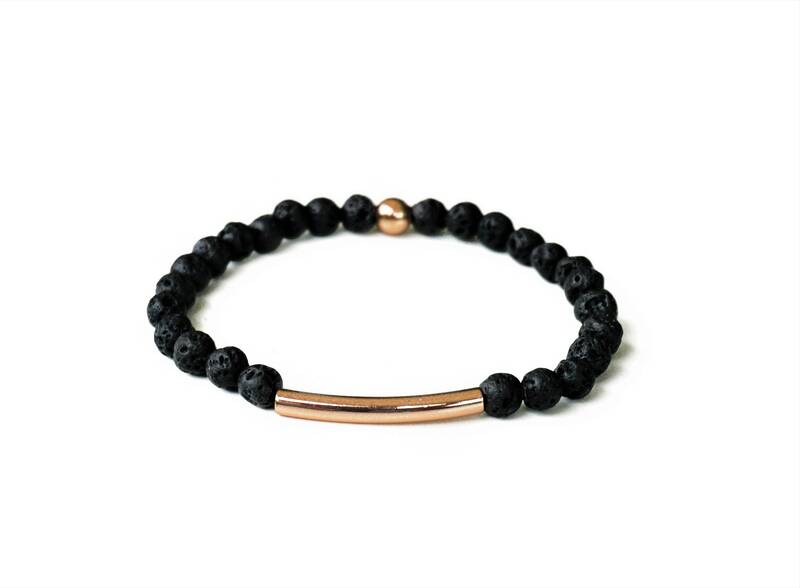 Bracelet for men: black lava bead bracelet with rose gold. 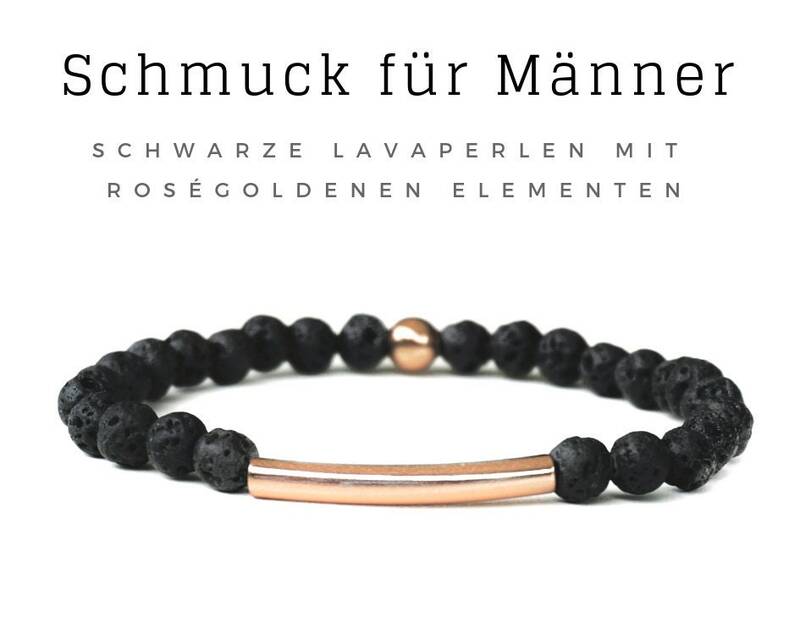 Cool combination: Black 6 mm lava beads with a matt-porous surface in contrast to a smooth and shiny 3 cm long tube in a noble rose gold. The elastic bracelet is about 19 cm long, the handmade unique is shipped as a gift wrapped in the organza bag.